In an effort to boost sustainability, the Ghanaian government is redesigning its tender documents. Social, economic and environmental criteria will be incorporated, as well as measures to increase transparency and accountability. The move towards more sustainable procurement comes in the framework of a three year-joint venture with the Swiss government on enhancing the use of SPP. 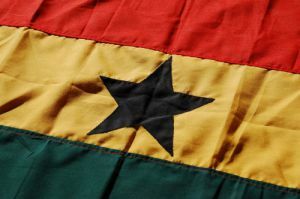 “The authority believes the review of the STDs for procurement of goods, works and services is a major milestone in the entrenchment of the gains from the country’s public procurement reforms, and it will adequately serve various stakeholders.” The Swiss government has provided a US $2.7 million grant to aid Ghana in becoming the first African nation to adopt a national policy on sustainable public procurement. 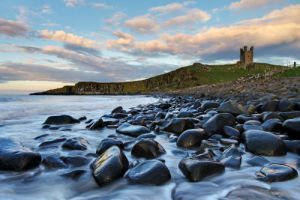 Northumberland County Council (United Kingdom) has released plans to use sustainable procurement as a means to help the local economy, aiming to increase the proportion of budget spent in the local community by 10 percent over the next two years. The "Grow Northumberland" initiative will also see environmental and social criteria included when selecting products and services. Under the initiative, suppliers will be encouraged to reduce their carbon emissions and to set reduction targets, and all staff across the council will be trained on sustainable procurement. Local businesses will be invited to provide a "quick quote" for contracts under £50,000. The council will also introduce clauses into contracts to secure apprenticeships and job placement schemes for the local community, with a particular emphasis on the long-term unemployed. Challenges that procurers face when purchasing socially responsible products, the best methods to successfully implement social procurement, the risks and opportunities associated with on-site audits, and models and proofs for the verification of supply chains will be among the topics discussed at the LANDMARK project final conference, taking place in Bremen (Germany) on 27 March 2014. The event is free of charge, and the programme and registration details will be published shortly. The conference will share the most important conclusions of the three year project through workshops, discussions and expert-contributions. Procurers and administrators, staff of NGOs and policy-makers, certifiers and company-representatives are invited to join. A welcome event will be held on the evening before the conference in the Bremen Parliament, and will feature the interactive LANDMARK-exhibition - a mixture of multimedia and web-technologies. The LANDMARK project aimed to change local authority consumption habits and enable them to act as key drivers for the promotion of fair working conditions in global supply chains. The project helped local authorities purchase fairly produced products, and by doing so drive improvement in the working conditions of workers in Asia and parts of Sub-Saharan Africa. Sustainability was at the fore during construction of the City of Melton’s (Australia) library and community centre, and today the building boasts an impressive array of environmentally friendly techniques. 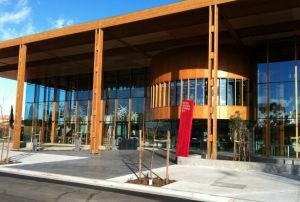 In recognition of this, the building has been awarded with the prestigious “Australian Timber Design Award for Sustainability”. The library includes 80 solar panels and 130m2 of hot water panels, resulting in 52 percent less electricity and 60 percent less gas usage compared to the previous library. Almost all timber used is "Forest certified", while the building’s innovative concrete contains 40 percent less cement than usual brands. Whenever possible, procurers used locally sourced materials and ensured only non-toxic products were purchased. For lighting, designers installed large glass windows to optimise natural light, and added a front canopy for shade in the hot summer months. The building is sealed between floors for greater insulation, and uses under floor air distribution to ensure proper air flow. At night the indoor air is purged through vents in the roof. The library uses 82 percent less water than the previous building, with rainwater used for toilet flushing. Sustainable transport was also considered in the design: the area is easily accessible by public transport, and bicycle and small-car parking facilities are available. Sustainability, innovation and cost efficiency in procurement will be the focus of the 2014 EcoProcura conference, which is set to take place in the City of Ghent (Belgium) from 24-26 September. The conference will provide a thought-provoking programme that will empower local authorities to improve their procurement processes. EcoProcura 2014 is the ninth conference of this series and will engage with procurers from all levels of government, policy-makers, suppliers and representatives from the European Commission and European Parliament. Specifically, the conference will explore obstacles against mainstreaming sustainable procurement, what the new European Public Procurement Directives mean for sustainable procurement and procurement of innovation in practice, how public procurement can stimulate innovation, and what legal and practical aspects should be considered when undertaking a dialogue between public procurers and business. Interaction will also be a major part of this year’s conference, allowing participants to share their opinions, experiences and ideas. Plenary sessions will provide a dialogue between speakers and participants, break-out sessions will focus on specific procurement processes, and the Market Lounge will see roundtables of six to eight people discuss challenges. An exhibition area will also be present with material on various procurement initiatives. This edition will also see the first “Meet the Buyers” event, in which public procurers will have the opportunity to meet leading business representatives in an informal setting. 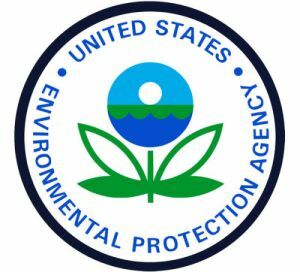 The U.S. Environmental Protection Agency (EPA) is proposing draft guidelines that will help the federal government buy greener and safer products. In response to broad stakeholder interest, the EPA is seeking public input on these draft guidelines and a potential approach to assessing non-governmental environmental standards and ecolabels already in the marketplace. The draft guidelines were developed following several sessions with a wide range of stakeholders on how the federal government can be more sustainable in its purchasing, and are designed to assist federal purchasing decision makers in more consistently using existing non-governmental environmental performance standards and ecolabels. European public authorities are invited to apply for the first edition of the Public Procurement of Innovation Award, which will be presented to an exemplary public authority that purchases innovative, effective and efficient products and services. Public authorities can apply for the award by completing the application form and sending it to the Procurement of Innovation Platform team. Applications for the award close on 31 March 2014. Already a number of high-level organisations have applied to take home the prize. 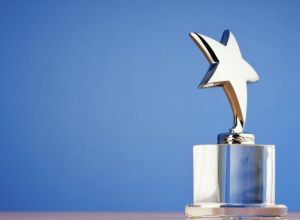 The successful entry will be selected in May 2014 and will receive a trophy together with the title “European innovation procurement of the year”; a case study, made available on the Procurement of Innovation Platform; promotion across Europe and internationally; and the possibility of a paid experience exchange visit to a selected public authority. The winner will also be invited to attend the EcoProcura 2014 conference free of charge. The Public Procurement of Innovation Award was launched by Antonio Tajani, Vice-President of the European Commission, during the symposium ‘Achieving Excellence in Business Friendly Public Administration’ held on 29 October 2013. Researchers have found that companies that adopt environmental management systems (designed to help reduce businesses’ environmental impacts) generally have greater sustainability, and that such systems are not used for corporate "greenwashing" - whereby companies claim to be environmentally friendly but invest little in actually achieving sustainability - as critics contend. The investigation focused on the use of ISO 14000 in Europe and North America. Data was collected from standardised surveys sent to 231 companies in North America and 370 companies in Europe between 2006 and 2009. The survey asked companies about their implementation of ISO 14000, and their investment in pollution reduction, recycling and waste reduction measures. This investment information was then used to determine the company's true commitment to sustainability. The results showed that the greater the implementation of ISO 14000, the greater the investment in environmental supply chain management. 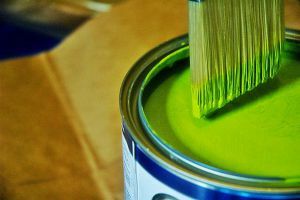 Although the evidence does not suggest that environmental management systems are never used for greenwashing, it supports the notion that companies that adopt them generally back this up with sincere investment in environmentally friendly practices. Public and private organisations looking for ways to reduce the environmental impact of their catering are invited to join the INNOCAT project Buyers Groups. 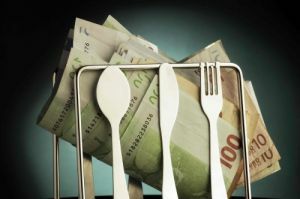 The groups will issue tenders for the procurement of innovative and environmentally friendly catering solutions, and will be particularly useful to organisations whose catering contract is up for review. Members are open to get involved in the tendering process according to their interests and needs, whether it be collaborating on market research for innovative eco-solutions, developing specifications and tender documents, or jointly publishing tenders. Currently, the core buyers consist of the City of Turin (Italy), Réseau des acheteurs hospitaliers d’Ile-de-France (Resah-idf), Johnson Matthey Fuel Cells (UK), and Environment Park Torino (Italy). The INNOCAT project aims to encourage eco-innovation in the catering sector by providing a sizeable launch market for new solutions. It will achieve this by bringing together buyers to publish a series of tenders for eco-innovative catering products, services and solutions. The project will be launching tenders in school catering services, low-carbon vending machines, solutions for health and welfare catering services, and bio-waste disposal systems. INNOCAT is an initiative supported by the European Commission, led by ICLEI – Local Governments for Sustainability. To register your interest, contact: innocat@iclei.org.